Pantelleria island in Sicily is a really particular place. Is a volcanic island and is the biggest between the islands and islets that surround Sicily, in the mediterranean sea. 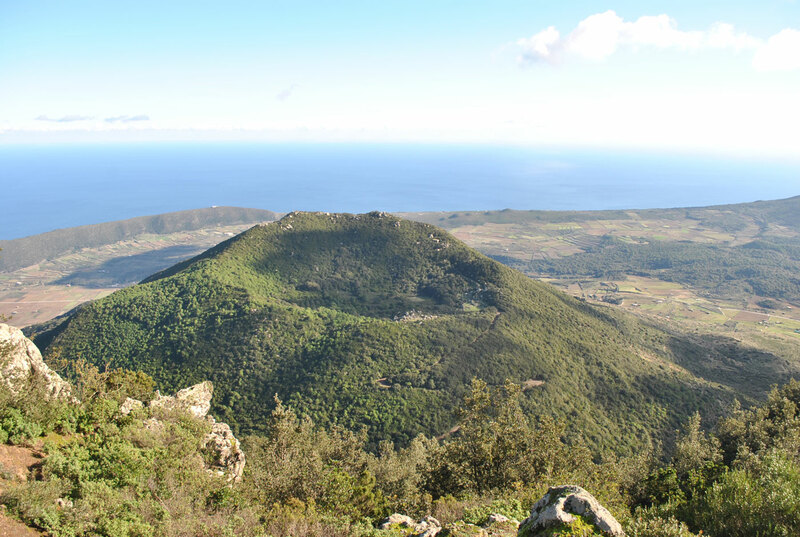 The island has different microclimate thanks to the structure that goes from 0 to more than 800m on the sea level. 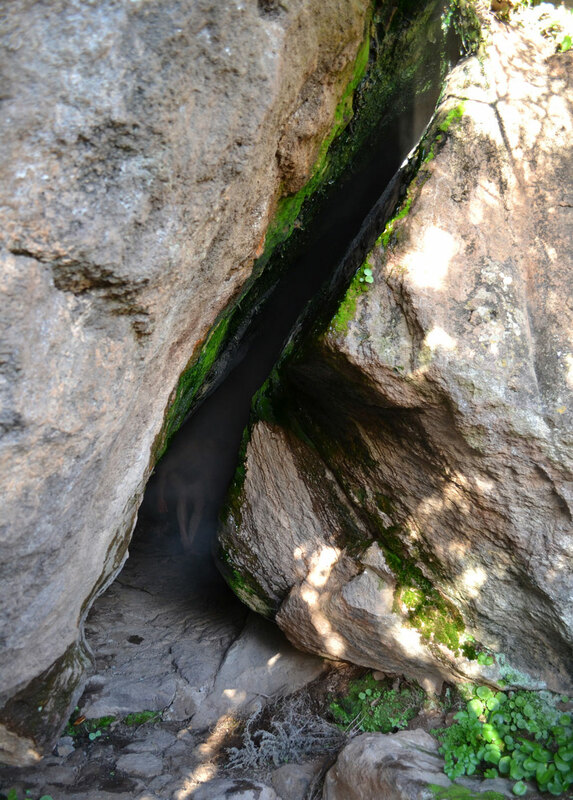 Is a great destination for adventure lovers and secret seekers! Still unknown by the tourism, is possible to jump inside the local strange way of life. You can do everything in Pantelleria Sicily, from swimming to hiking and exploring the clear and mesmerizing sky blue water that it offers. 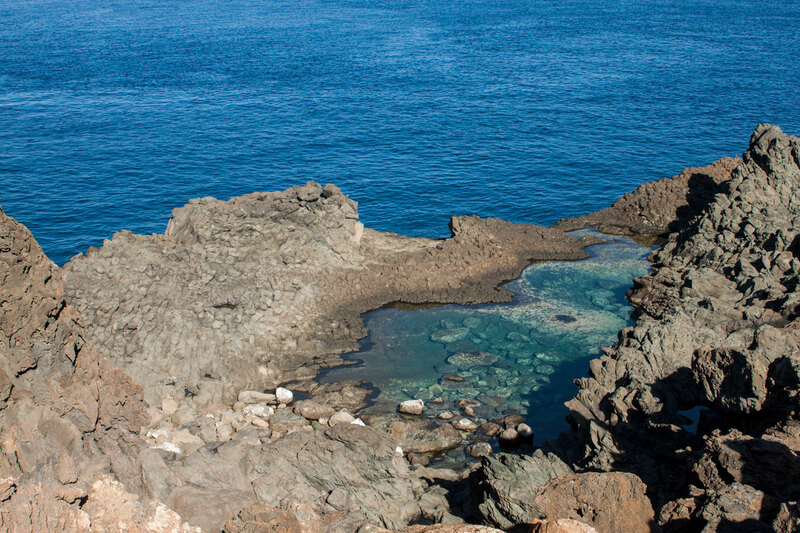 Relax into the numerous natural geothermal spots is also one of the main things to do in Pantelleria. Archeology is another important reason why Pantelleria is a “must” of the mediterranean Area: the island was a big source of Obsidian stone. This glassy shining black lava rock attracted first people who settled on the island, just because at that time the Obsidian was more precious than gold. 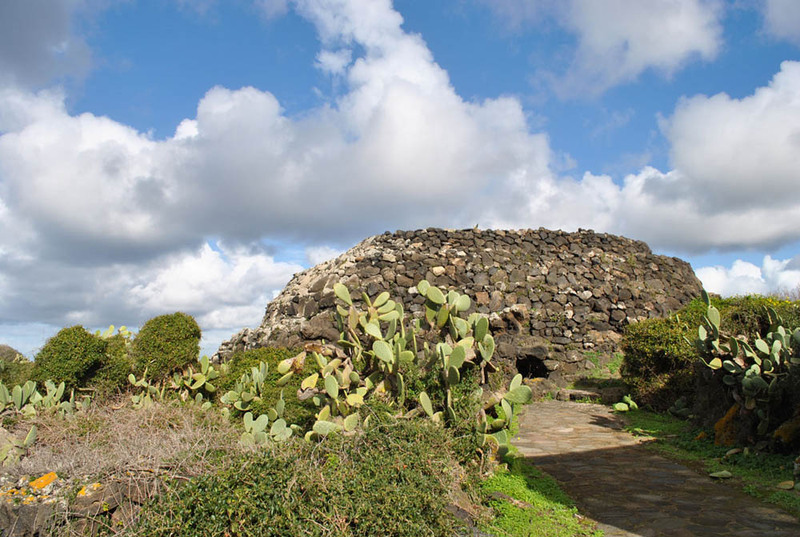 If you are looking for an archaeological tour, Pantelleria in Sicily is one of the stop of your trip. 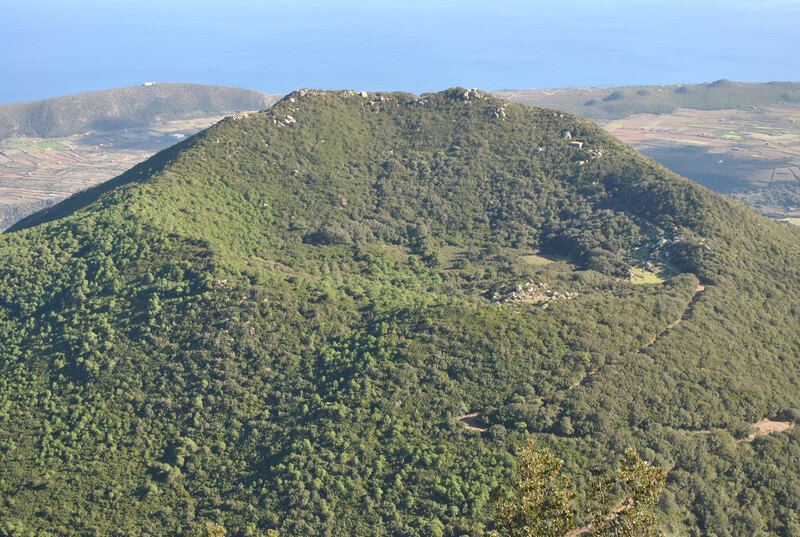 Some particular and monumental tombs called “Sesi”, togeheter with big defensive walls and huts settlements, hides lots of secrets to understand some of the prehistoric colonizations of the mediterranean sea. As we said is volcanic, formed by many eruptions and different kind of lava, in colors and structure. This makes Pantelleria soil, so fertile and particularly full with substances and minerals; together with the position in the middle of the sea, beaten by the mediterranean winds gives an unbelievable extra flavour and aroma to every single plant who grows on the island. Not easy to explain in few lines, this is not just a wine, this is probably what the islanders calls “elisir”, elixir of dried Zibibbo grape, obtained after a long and perfect process that is possible only on this island. 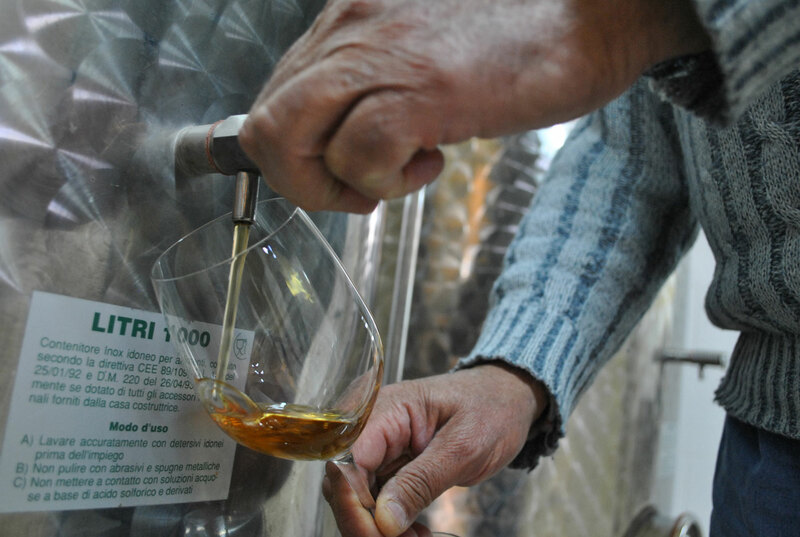 With a good guide is possible to visit some vineyard and go through the process that ends into the Passito wineries for a taste of this local treasure. This famous green agricultural product is a not yet opened flower that after a double salting process is ready to be eaten together with lots of sicilian dish. It is great with both fish or meat receipts, well known is the “insalata pantesca receipt” a local salad made with potatoes, capers, onion, olives, tomatoes and origan. Is present also in the famous “Caponata recipe” a sweet and sour mix of vegetables. 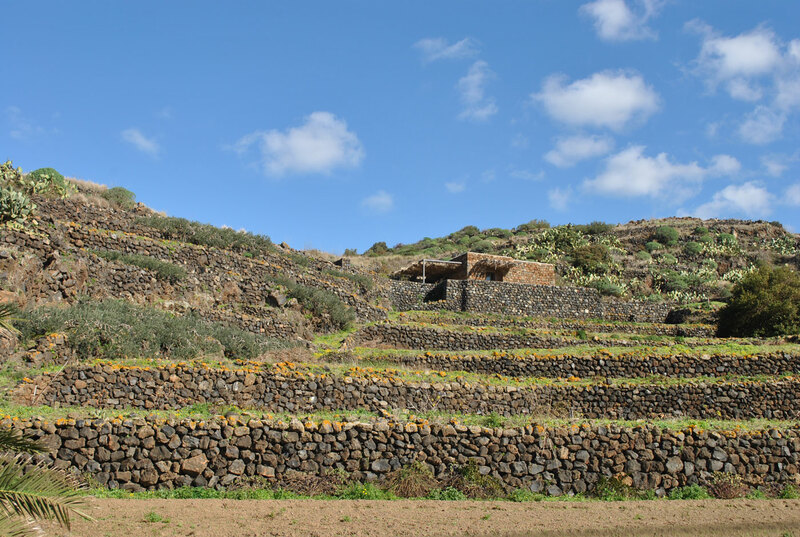 The capers production of Pantelleria together with the Passito wine and then Agriculture and farm in general represents the bigger part of the Island economy. This is the reason why, part of our trip packages for this island includes special Pantelleria food tour. The private guide in Pantelleria will drive you around with the local vehicles to try all the specialities hidden between the local buildings called Dammuso. A Pantelleria food tour would never end if you take in considerations fruits as prickly pear and figs, local cheese as the “tumma”, pastries specialities with ricotta cheese, the white wines Zibibbo etc. Everything take the flavour from the volcanic soil. 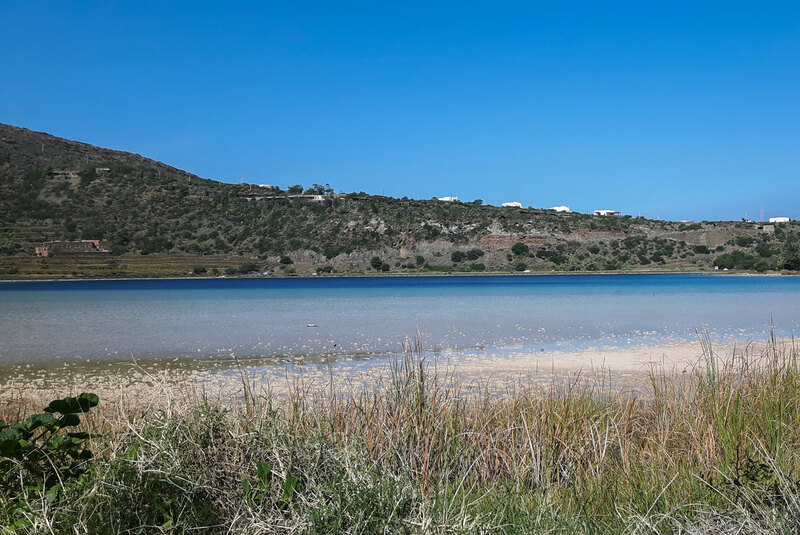 If you are looking for a perfect beach vacation, even if Pantelleria island has no real sandy beaches, there are many alternatives and most of them are great even in winter time! all the black rock coast around the island that is amazing if you like to swim and snorkeling in Pantelleria into blue waters full of life! 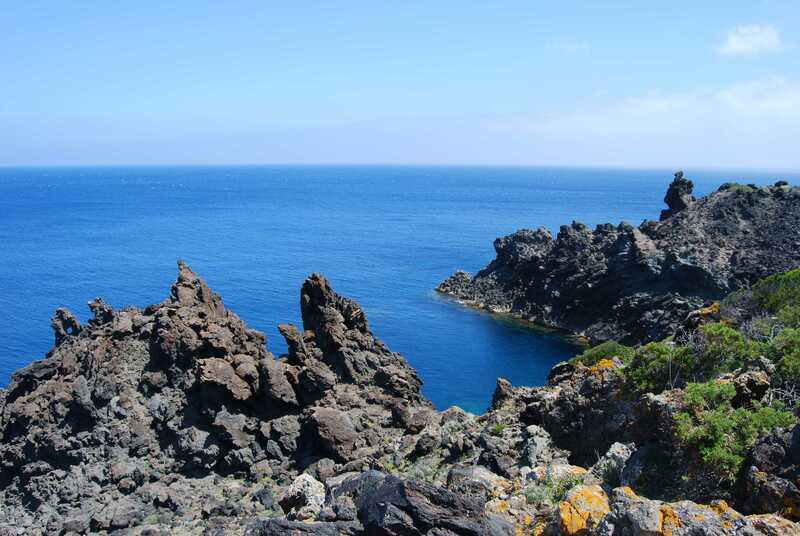 Discover hundred of small amazing coves all around the island with a rental boat Pantelleria. All these places are scattered and hidden across the island. 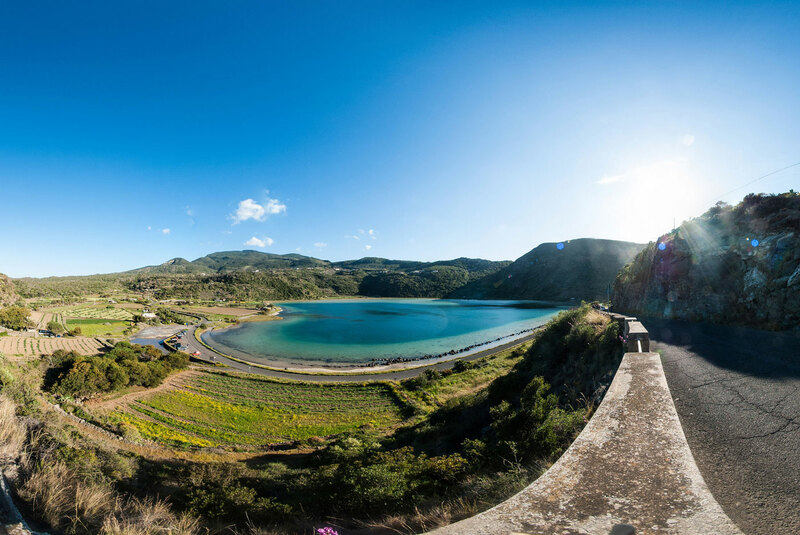 What WildSicily provide is a Pantelleria guided tour, that is designed to take people to all of these secret spots, a personalized list of what to do in Pantelleria, keeping days full of activities or relaxed depending on the guest preferences. 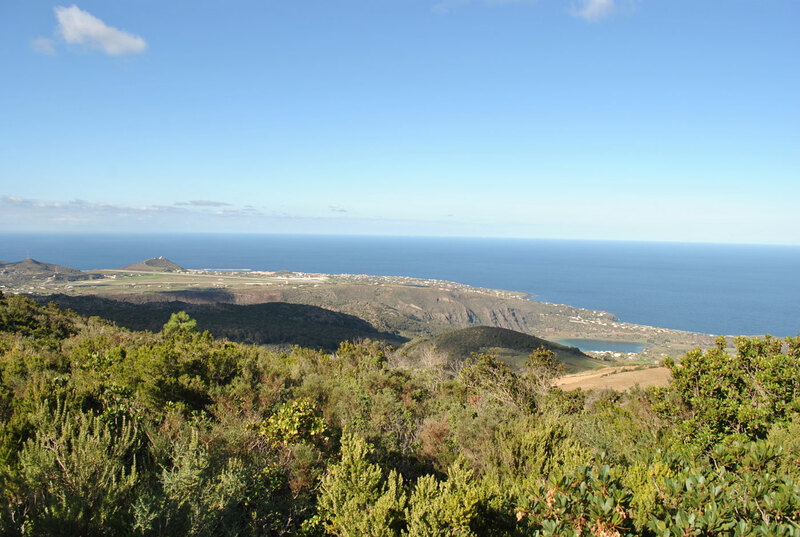 It is not very easy to move on the island as it looks like a spiderwire of very small roads and tracks where is possible to move only with some special Pantelleria rental car. 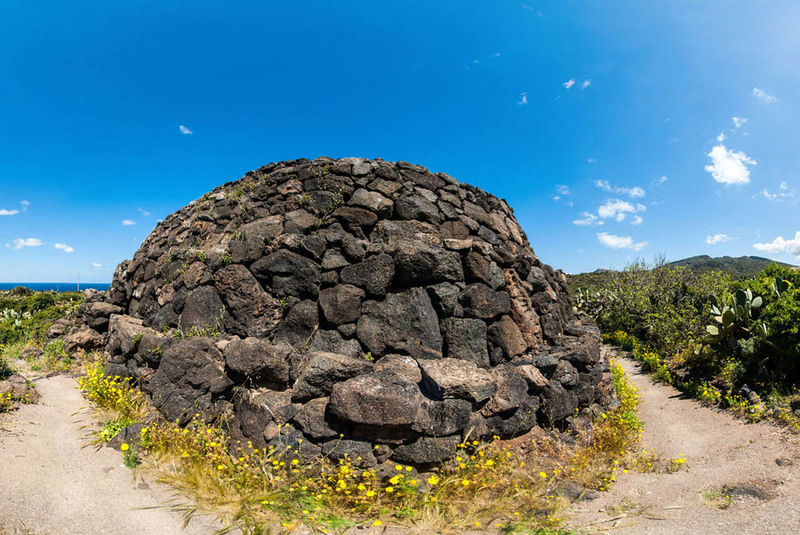 Pantelleria is also part of our Sicilian volcanoes way 10 days tour, that include Etna Volcano in Catania and Stromboli island on Aeolian islands. 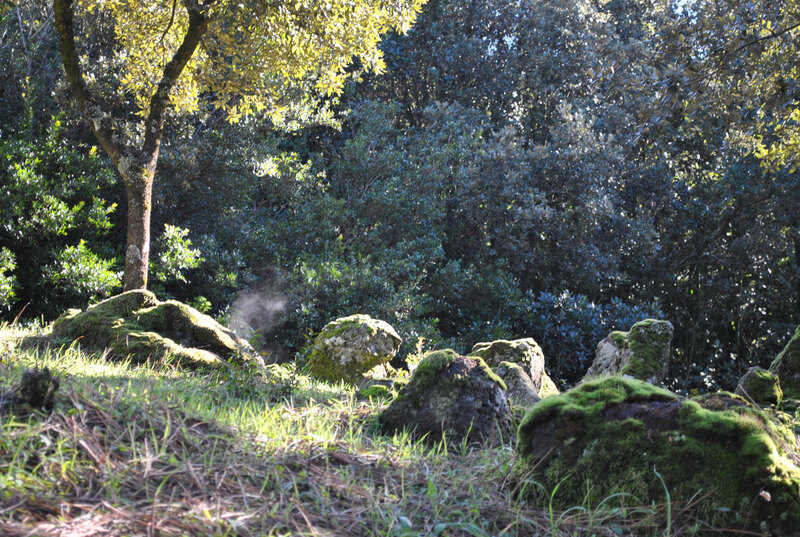 The natural hot sauna there and all the geothermal phenomena, makes it an ideal destination even during the winter! This place is paradise also for all adventure lovers! Adventure sports like horse riding, off road driving, trekking, mushrooms collecting, biking, thanks to the island structure, are available for you to try out all year round. Wildsicily provide also are diving tour in Pantelleria. Diving in Pantelleria is great, being the islands surrounded by a particular cliff and drop off at around 35m depth. All the mediterranean species, and also some coming from the Atlantic ocean, lives this piece of sea, that can be considered as one of the best of Sicily. Fishing in Pantelleria is one of our specialities. Take a look at “Pantelleria Fishing trip” package. You need to explore the Pantelleria town – where you would find most of the shops, some kind of nightlife and lots of gourmet seafood restaurants. The typical house here is called “dammuso“; dwellings that are unique to the island. These are shallow domed structures that can collect water on their own roof and help keep the occupants cool throughout the year. The best place where to stay in Pantelleria are exactly the Dammuso. Most of the time private and charming, personalized by the owner with islander style. We could also guide you to choose the best one, even with private pool if you want. Not many Pantelleria hotel or Bed and breakfast. Plan your Sicily journey early. Ask your tour guide Pantelleria all your queries and you could get started right away!